I had seen Brother Marcus pop up on my Instagram feed a lot, but hadn’t taken the trip south of the river to try it for myself. Then I heard that they’d opened up a second location in Angel, and I knew I had to go! No excuses this time. And boy, am I glad we stopped by! 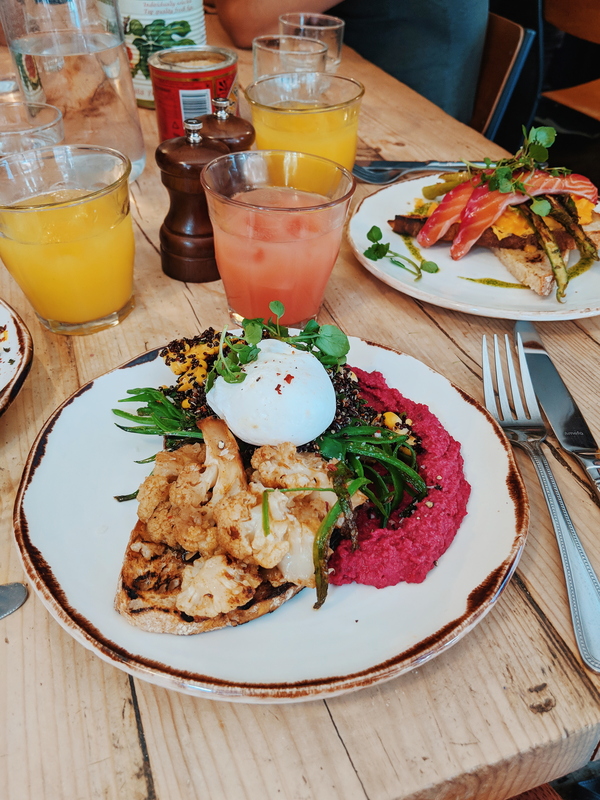 Brother Marcus definitely lives up to the brunch hype. Their small but perfectly formed menu offers something for everyone. 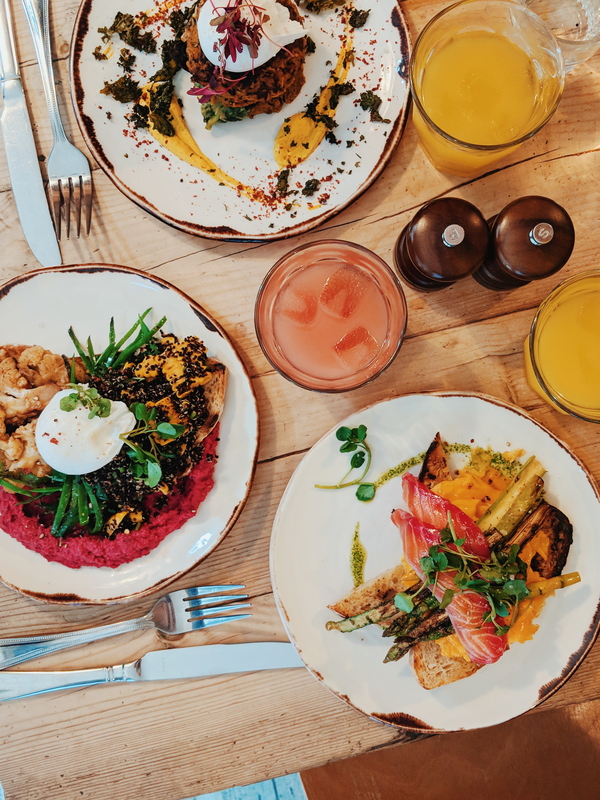 Whether you’re looking for a fry up, poached eggs, pancakes, or something a little different, this is the place for you. We weren’t able to book a table, and were sceptical if we’d get in on a busy, sunny Saturday. However, their new location is a lot bigger inside than it looks from the out. There are communal tables that can happily seat a couple of parties. We took one of these spots and ordered a couple of juices, before perusing the menu. 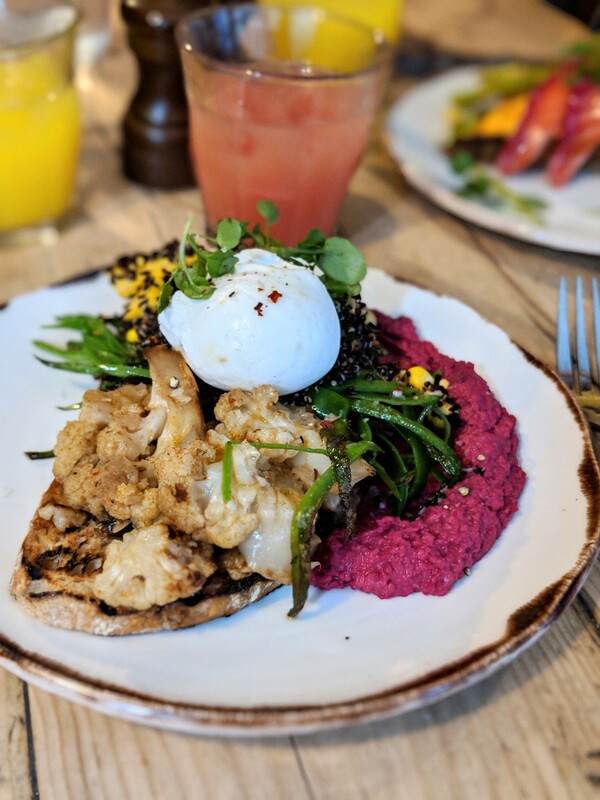 I decided on their ‘Yummy Mummy’ (pictured above), and no I don’t have kids, but I couldn’t resist the sound of this dish – Cajun cauliflower, beetroot hummus, mangetout with black quinoa & charred corn on toast. I added a poached egg too to finish it off. This dish was heavenly! Super colourful, super healthy, and super tasty. I can’t find a single fault with it. It was super filling too, so I’m glad I opted for one egg and not two. If you’d prefer meat or fish, you have the option of also adding salmon, bacon or chicken. with gremolata on toast. Not normally a fan of scrambled eggs, I was pleasantly surprised by these. The texture was soft and creamy, and the eggs almost looked layered rather than scrambled. 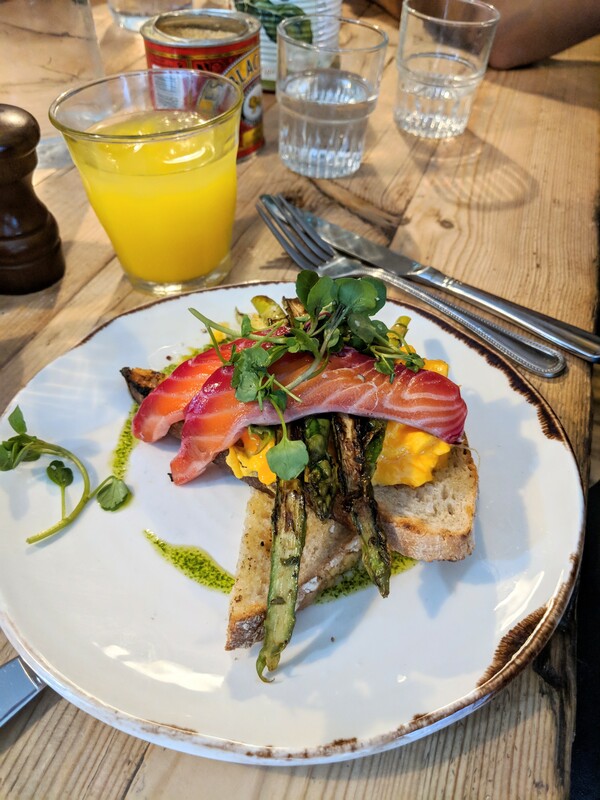 They were super yellow in colour too, and the beetroot cured salmon was so pretty. 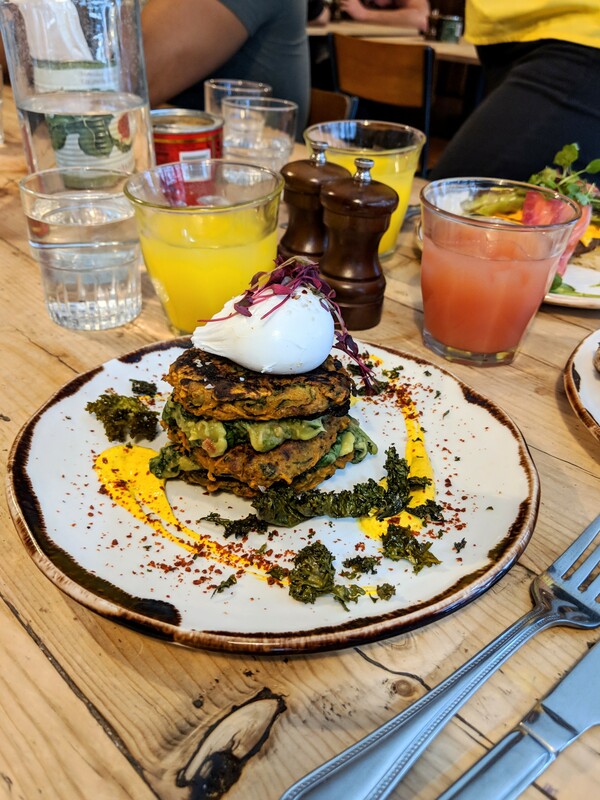 Lastly, Katy chose the ‘Step Sister’ – Sweet potato, courgette and feta fritters with avocado, spinach, kale and turmeric yoghurt. A classic dish spiced up with the turmeric yoghurt. I almost chose this myself, as I love courgette fritters. I might have to go back and get this next time! Each dish was just shy of £10 and the drinks around £4. Overall I would give Brother Marcus 5/5 for it’s aesthetic, delicious menu, perfect service and reasonable prices. Big thumbs up from me (and I can vouch for Katy & Chloe too! ).